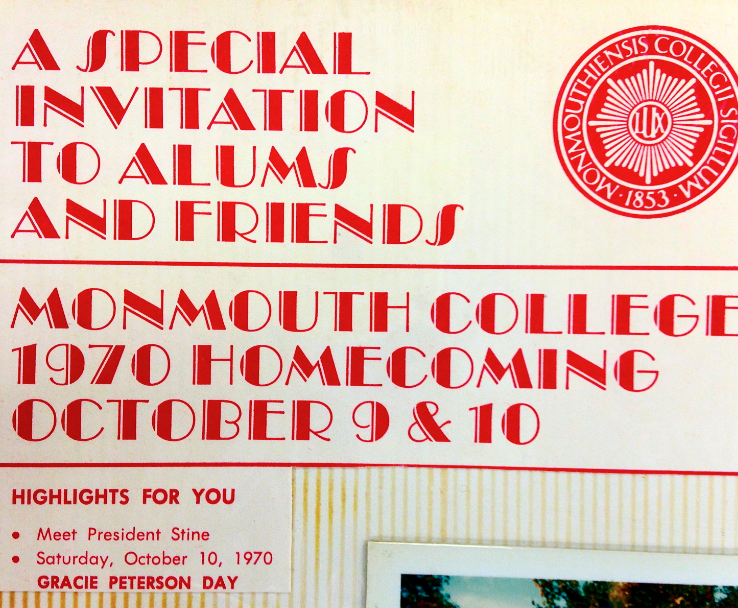 In 1970, Monmouth College's annual Homecoming celebrations took place on October 10th. Paying tribute to Gracie's fifty-year career at the college, Monmouth named October 10th 1970, "Gracie Peterson Day." Gracie rode in a decorated convertible, while also serving as the grand marshal of the homecoming parade. Gracie was also recognized during the half-time show at the football game to round out her day of recognition. 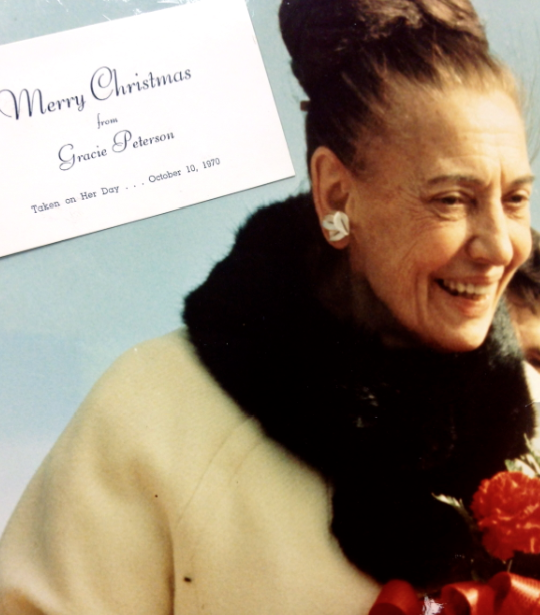 Gracie Peterson's 1970 Christmas card with a picture taken on Gracie Peterson Day, October 10th, 1970. A Monmouth College Homecoming flyer advertising the occasion as well as Gracie Peterson Day.